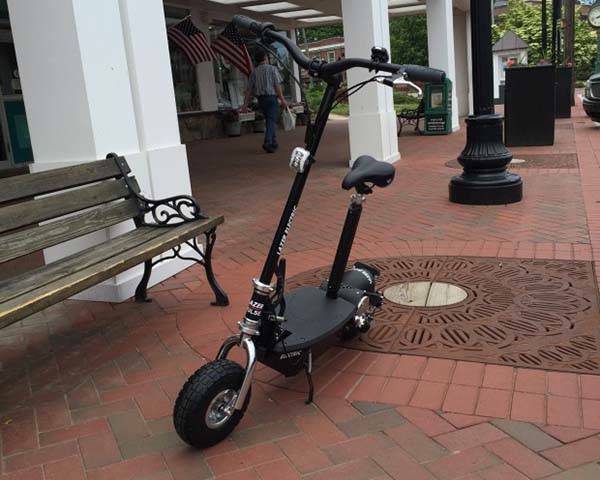 With three power options, you can freely choose one from three Lazer Pulse electric scooter models based on your demands, enjoying the pleasure of riding on or off road. Sounds cool? Let’s keep checking. The Lazer Pulse is a powerful and budget-friendly electric scooter that weights 37 lbs. As we can see from the images, the eScooter shows off a compact and gorgeous modern design, and its two fat tires not only add much tough aesthetics to Lazer Pulse, but also ensure it fits on various terrains, and its independent rear suspension is fully adjustable, which delivers smooth riding over bumps and rough terrain and enables it to support 80 lbs rider or 280lbs rider. Meanwhile, the steering height is adjustable, and you can add a seat on the eScooter for a more comfortable riding experience. 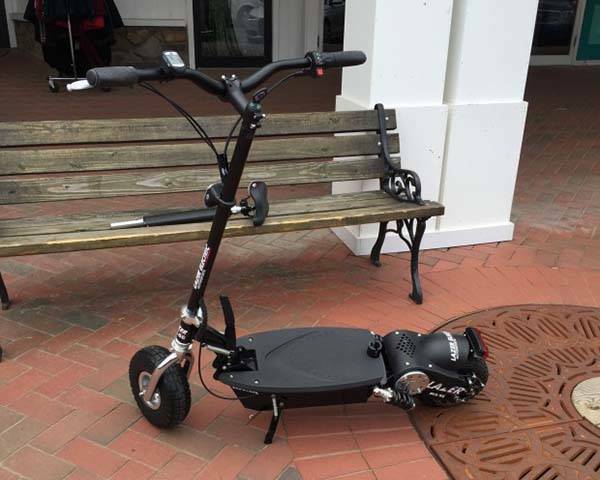 Lazer Pulse comes with three power options including 36v 11.6ah lithium pack with 250w motor, 36v 11.6ah lithium pack with 500w motor, and 48v 11.6ah lithium pack with 1000w motor, so the eScooter features a riding range between 25-35 miles on a single charge, and its large rear hub motor delivers over 40% hill climbing power in order to tackle any hill terrain. Furthermore, Lazer Pulse also features disc brakes, wireless LCD display, and two throttle options including twist and thumb throttles. Lazer Pulse has been available for preorder on Indiegogo. You can pledge $399/$449/$499 to preorder one of the three electric scooter models. All models will be shipped in August this year. BTW, also don’t miss ZAR foldable electric scooter and more related cool stuff by following tags.